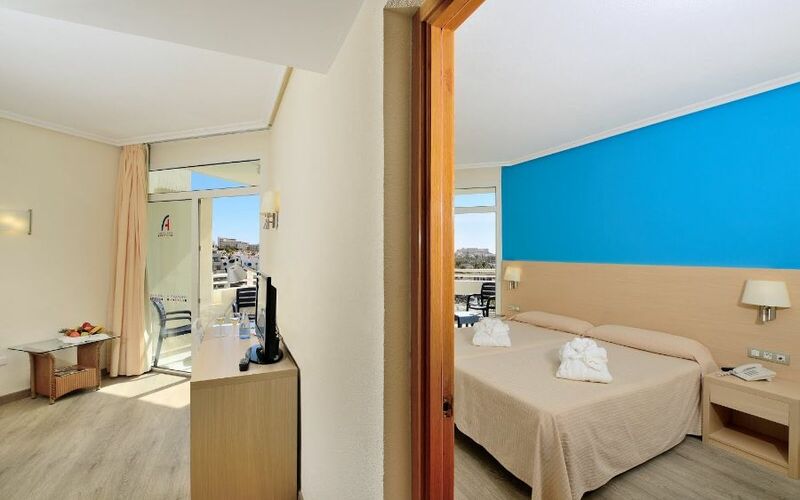 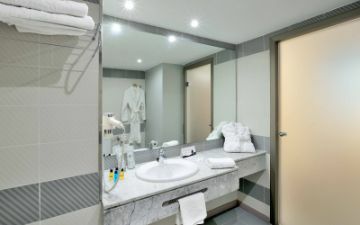 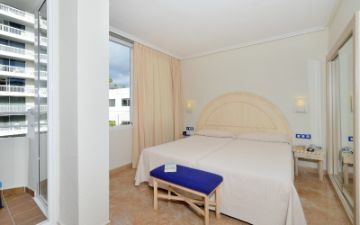 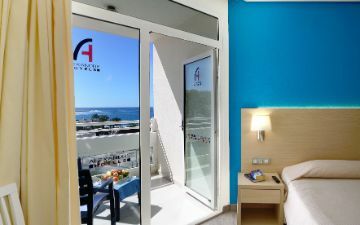 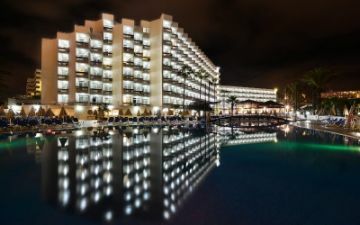 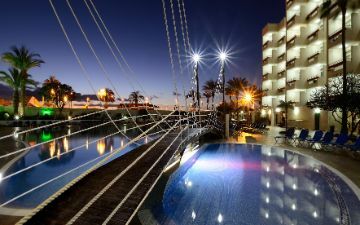 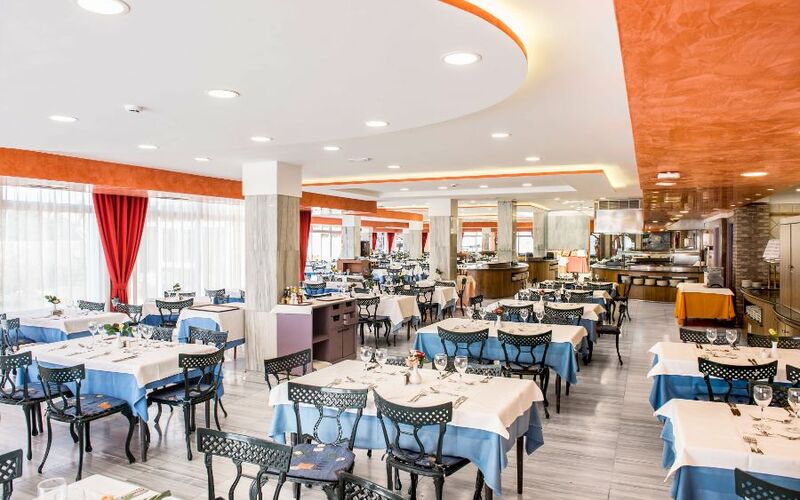 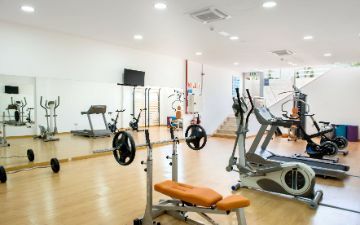 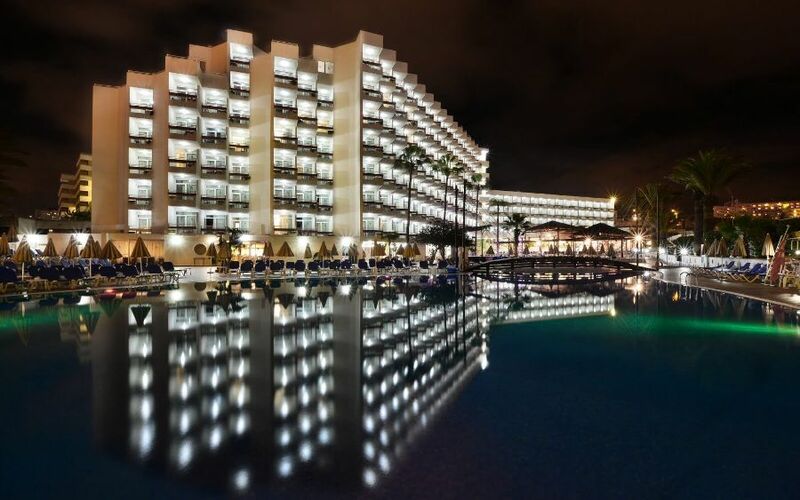 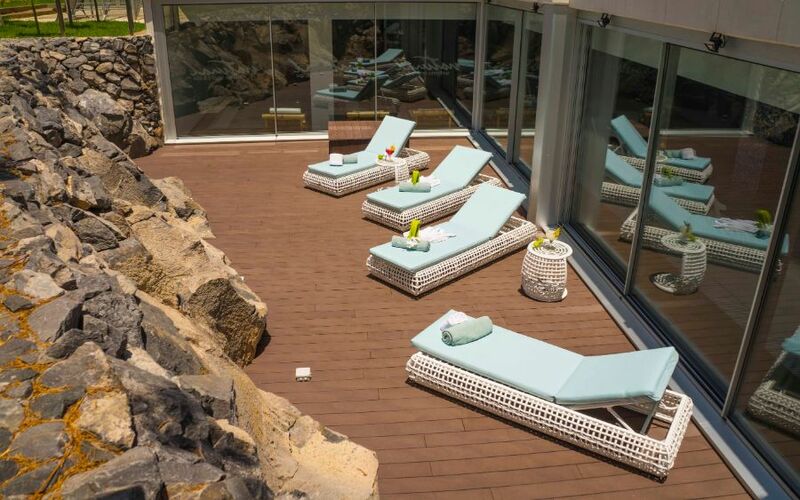 Hotel Troya Tenerife has set up the following photo gallery so you can discover all the facilities, services and rooms the hotel offers. 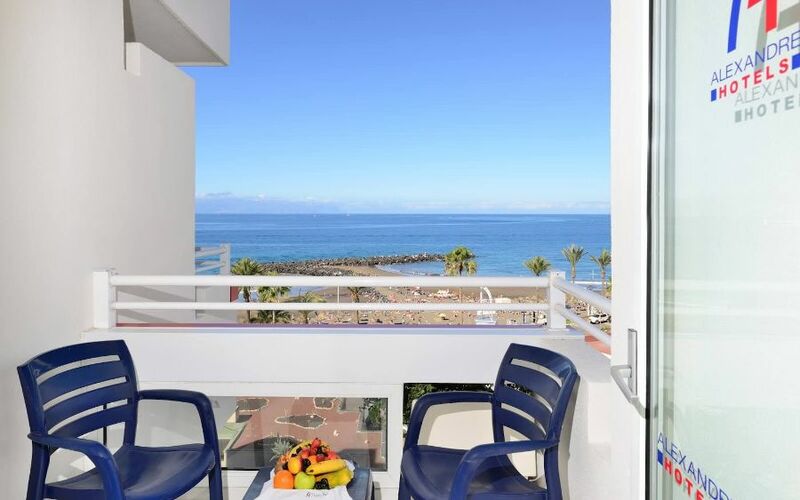 Access the gallery and discover the immense complex we offer beachfront on Adeje Coast, Tenerife. 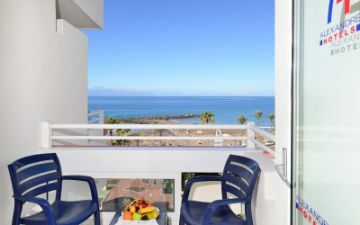 Take a look at our outdoor areas with deck chairs and gardened shady areas, surrounded by palm trees where you can enjoy the climate and marine breeze from the Atlantic Ocean. 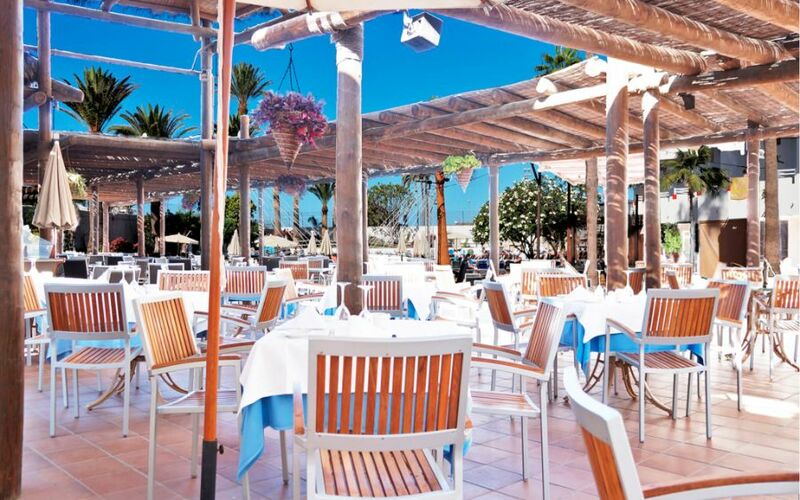 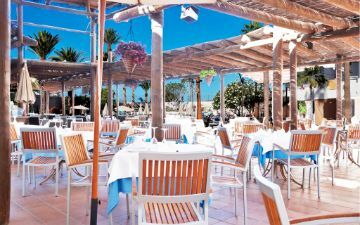 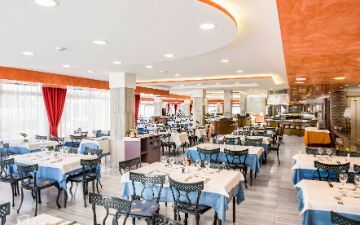 We have 2 restaurants, a buffet inside and a Palapa Bar outside which is great for snacks, pizzas, sandwiches, salads... as well as a Cocktail Lounge to enjoy some delicious cocktails and soft drinks. 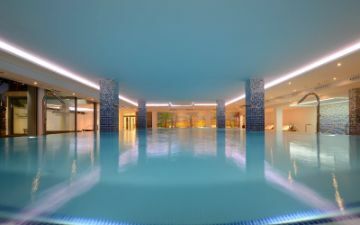 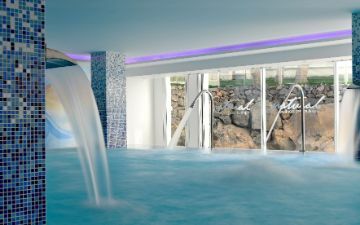 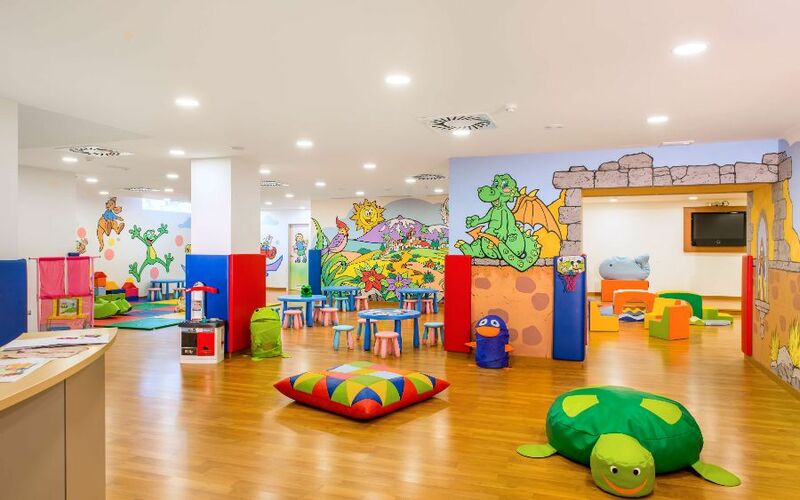 Besides offering fully-equipped rooms with Premium services, we offer our guests the opportunity to visit the spa facilities and the different kids activities we organise. 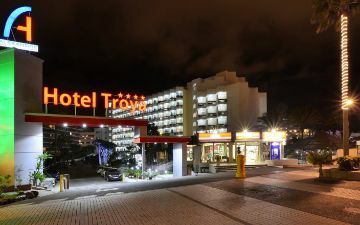 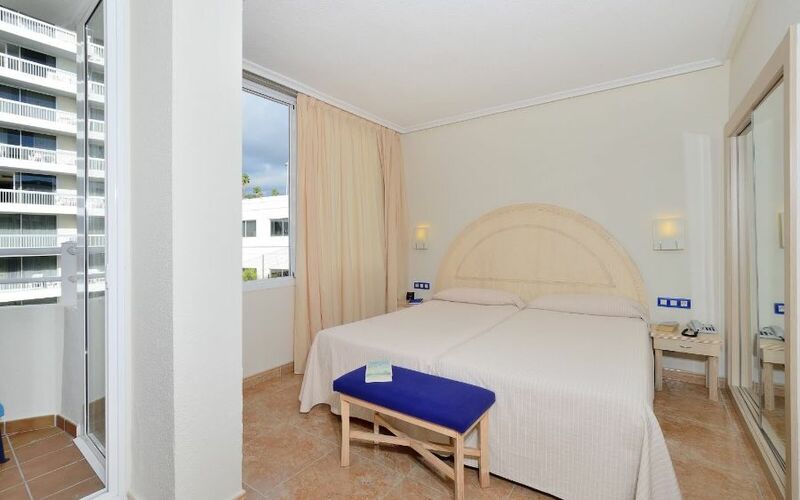 Book now at the Official Website® for Hotel Troya and get the best price guaranteed!